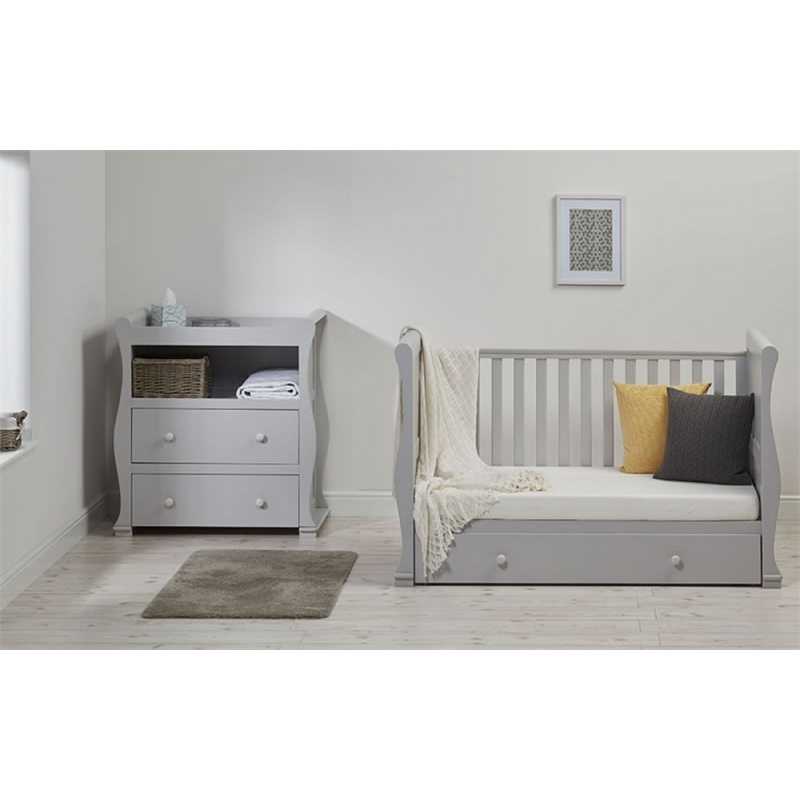 >East Coast Alaska Sleigh Cot Bed-Grey + Underbed Drawer! 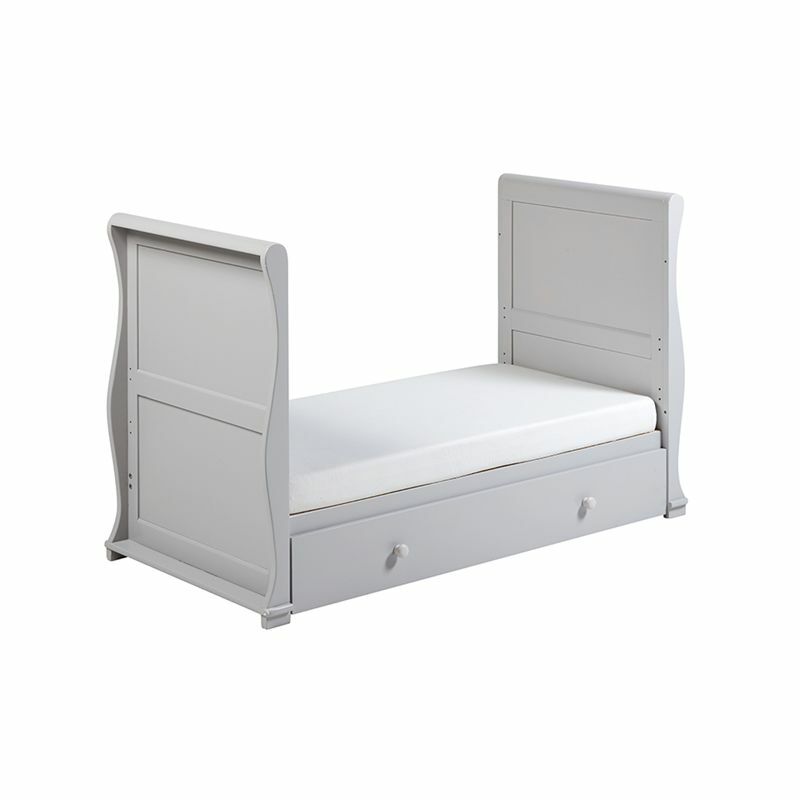 East Coast Alaska Sleigh Cot Bed-Grey + Underbed Drawer! 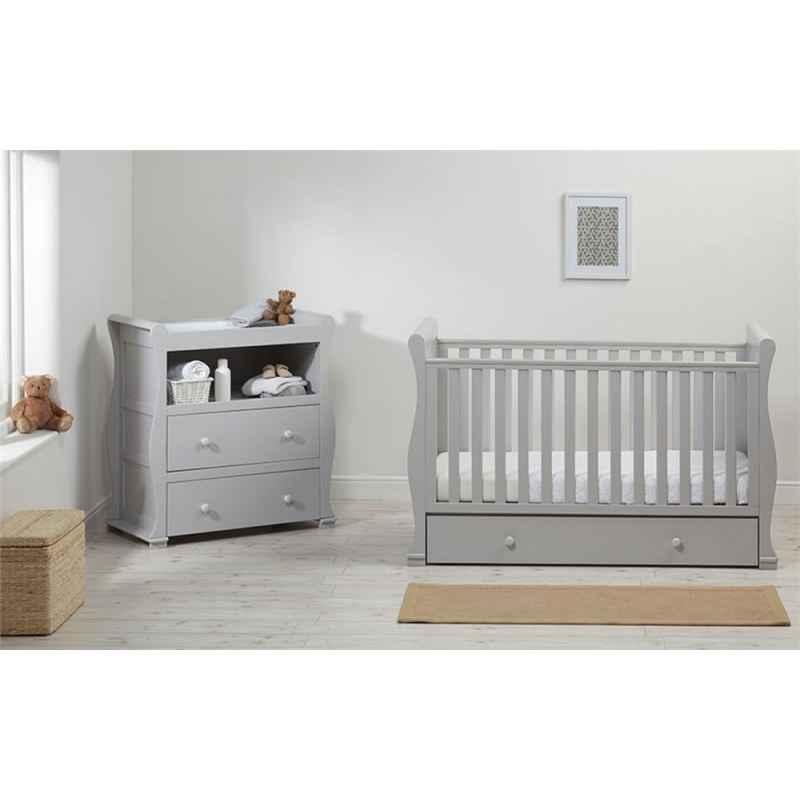 Fantastic 3in1: Cotbed, Sofa & Toddler Bed! 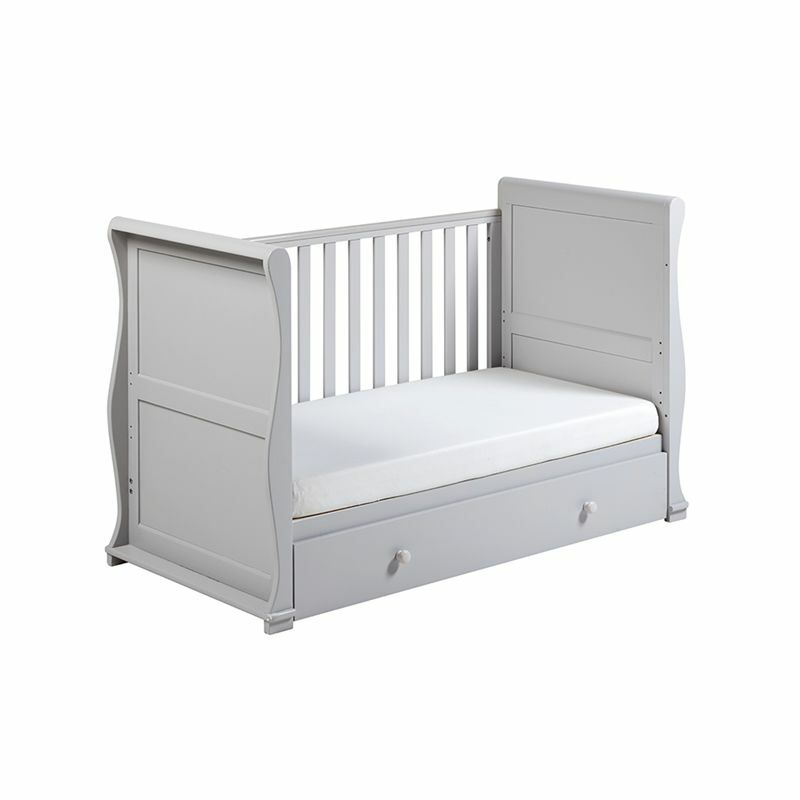 The Alaska Sleigh Cot Bed is a gorgeous addition to your baby’s new nursery. 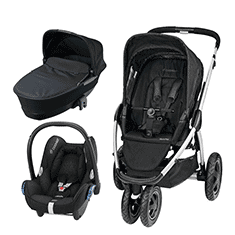 It includes a large under-bed drawer, and converts from a cot into a toddler bed and a day bed, making it a great long-lasting piece. 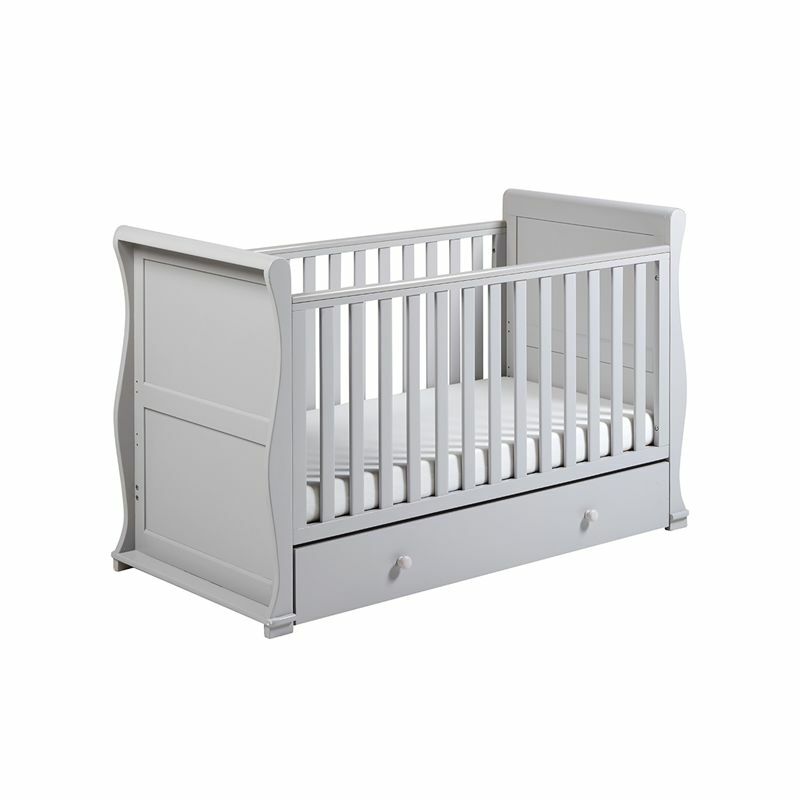 The elegant sleigh design and soft grey finish will add a touch of vintage flair to your nursery. 4 5 1 1 East Coast Alaska Sleigh Cot Bed-Grey + Underbed Drawer!